3D Text Logo Animation Design | Aurora3D Software: Make 3D Interactive Business Presentation for Mac OS! 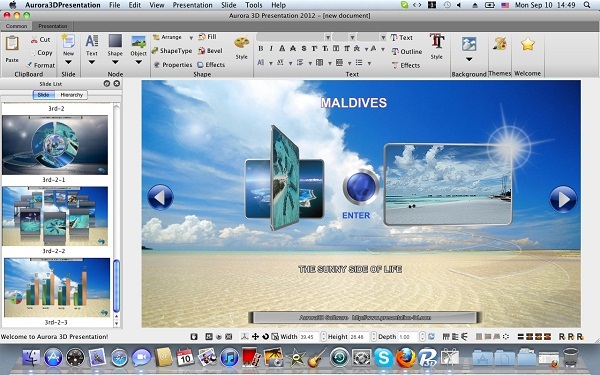 Make 3D Interactive Business Presentation for Mac OS! 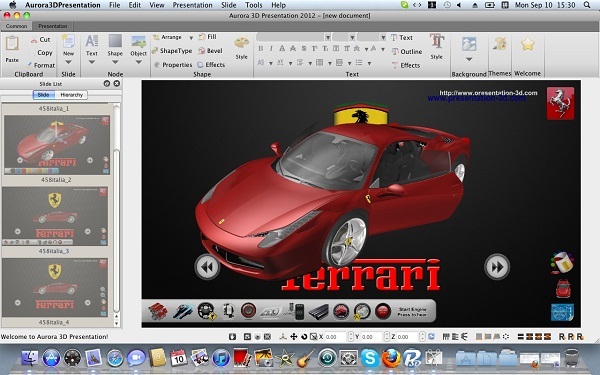 Aurora 3D Presentation is a 3D interactive business presentation software. Now, we released the Mac version. You can create a interactive presentation on your MAC or Mac book. We transferred the most of features from Windows version to Mac, and transferred all interactive example and templates to Mac version. 1. Create presentation with 3d shape, text, image, 3d model, table, image wall, 3d chart. 2. Make interactive presentation by our interactive animation system. You can use interactive event, actions, to make click, hover, press, release event and make shape or text animation, color change, text change, show, hide, sound play, camera animation, tool tip, hyperlink etc,. 3. You can export your presentation to a Mac App or a play package, then distribute to other Mac computer and show them! It royalty free! Try to make your own 3d interactive presentation for FREE! FREE Download MAC Version.